A report by KitGuru (via PCGamesHardware) states that the rumored GM200 powered GPU, the GTX 980 Ti, could launch at the Computex trade show next month. The report also states that sales will start immediately after the announcement which means we are not looking at a paper launch rather than the actual event. The Geforce GTX 980 Ti will feature the Maxwell GM200-310 core, which will most probably be the cut down form and should be priced to compete with the upcoming Red launches. Yield is an interesting concept. With the TITAN-X powered by the full fat GM200-400 core, logic and yield theory dictates that the GM200-310 GPU is the cut down variant with fewer SMMs. The “big daddy” Maxwell GM200-400 core has 24 SMMs. 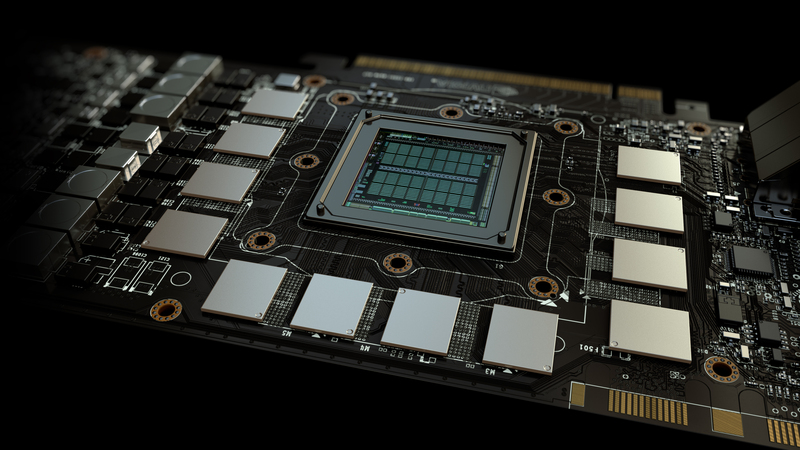 The GTX 980 Ti, if it is a cut die, could have around 20 SMMs. However, there have been past rumors which state that we might actually be looking at a full fat GM200 with this iteration as well – something that makes no sense, I feel it is my duty to add. We are going to be looking at 6GB of GDDR5 Memory and a much decent price tag as compared to the TITAN-X. Initial rumors put the launch date by May 26th but if this new report is true than it could extend to the early weeks of June. Something I have pointed out before is, that the launch date of the GTX 980 Ti is an ephemeral matter. No matter how authentic the report is, it cannot be relied on for the simple reason that Nvidia does not need to launch GTX 980 Ti until AMD goes ahead with its next gen lineup – and even then when it feels like it. It can simply postpone or change the road map in anyway that it so wants. This is why it is entirely within the realm of possibility that it might decide to postpone the GPU further and push it forwards to a July launch. Given below is the specification table of the GTX 900 series and the new Titan graphic card from Nvidia. There have been no price confirmation about the GTX 980 Ti but it should naturally be more than the 980 and less than the TITAN-X (duh). If someone were to ask me to speculate on the exact price then I would wager on a value around ~$750.